You must be registered for Hygienix™ to secure a hotel room. Rate is non-commissionable and room reservations may be made at this rate as long as rooms are available in the group block. We have a limited amount of rooms and reservation requests are processed in the order in which they are received, so we encourage you to please submit your request as soon as possible. Please be sure to make your reservations immediately – submitting your hotel reservation prior to the cut-off date does not guarantee that a room will be available in the group block, at the group rate. Centered in the heart of downtown Houston, Hyatt Regency Houston is an iconic hotel within walking distance of events at the Convention Center, Toyota Center, and Minute Maid Stadium. With an inside entrance to the 7-mile downtown tunnel system, you can easily get to your meeting or have a taste of Houston’s unique culinary scene. It includes over 71,000 square feet of meeting space, a heated outdoor pool, three onsite dining options, and the most personalized and caring service in Downtown. 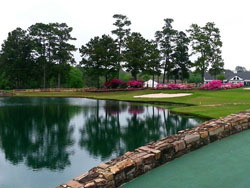 Full-service golf, practice greens, and a driving range help put Tour 18 into the elite courses of the Lone Star State. Scan artifacts that date from the Paleolithic era to the present in this 16,000-piece collection. The fourth-largest city in the nation offers the fourth-largest Holocaust memorial museum in the country. Indulge in cultural riches like the Houston Ballet or Grand Opera in this ideally located art center downtown.